Your Mobile Scrap Metal Merchant In Manchester! Recycling your scrap metals is an excellent way to make some extra cash. At X-Met Metals we understand that you may not have the time in your busy schedule to make it to the metal recycling yard—which is why we come to you! We provide a mobile scrap metal services to the Wigan and Manchester area. We collect and recycle exactly the same metals that you would take to any traditional scrap yard i.e. Don’t see what you need recycled? Just ask! We may be able to accommodate, or can refer you to the right processing professional. What Is A Mobile Scrap Yard? We are one of the few mobile scrap merchants in Manchester. What this means, is that we come to you! We can come to your home, your business, or even your work site. All our vehicles are fully equipped with industrial scales and electronic readers to allow our team to accurately weigh your scrap materials at the location of your choice. Payment will also pay you into your preferred account prior to leaving. This service will save you time and money as you do not have to travel, unload and wait at scrap yards. All you need are two current forms of identification, and about 5 minutes to spare. We know your schedule is busy, which is why we operate 7 days a week: from 7am to 9pm. This makes it easy to schedule your scrap recycling before or after work, or on the weekend when you have more time to spare. *We offer limited hours and reduced scheduling on bank holidays. Not only are we a mobile scrap yard, but you can simply text us when you are ready to schedule your appointment. In most cases, we can collect your metal scraps the same day! 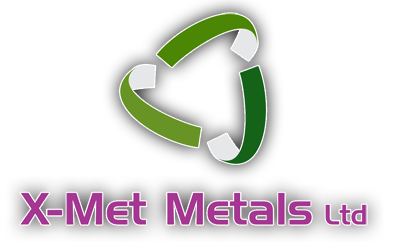 This service is available to everyone from large companies to smaller customers who only have a small amount to scrap metal to collect. Note: We come to YOU, Weigh and pay you on the spot. While our mobile scrap metal services makes us unique, the reputation we have built is what keeps customers coming back. Our mobile team are consummate professionals, who make scrapping fast and easy. We are a trusted scrap metal recycling service, who is the scrap yard of choice for both residential and commercial clients. After just one service call, you will see the difference! YOU TEXT WE COLLECT! CALL OR TEXT NOW AT 07861 475656 AND WE WILL SCHEDULE A SAME DAY PICKUP!